September 21, 2015 October 6, 2015 Daniel Gouré, Ph.D.
Click here to download the full report as PDF. 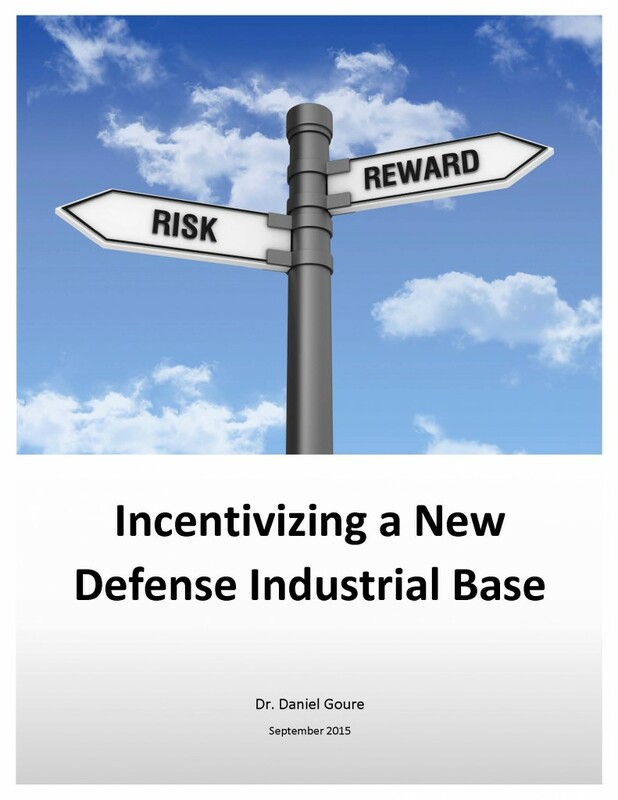 It is the contention of this study that private corporations are increasingly disincentivized to do business with the U.S. Department of Defense (DoD). Contracting with DoD has always been challenging for private companies, even those with decades of experience. For commercial companies, the differences between government contracting and the commercial marketplace are stark. The defense sector is not a free market; it consists of a monopsony buyer, the DoD, and a limited set of major prime contractors. The rates of return for defense work are substantially lower than for comparable work in the commercial economy. Defense contracts are subject to unique accounting, regulatory, reporting and oversight requirements and processes that inevitably increase the costs of doing business and stretch out timelines. Items that have both military and commercial applications can be subject to export control restrictions. As if this problem were not enough to discourage companies from entering the DoD market, the defense acquisition system acts as a major barrier to participation. Unlike the size of the defense budget, which is largely out of the Pentagon’s hands, the acquisition process is mostly, albeit not entirely, under DoD’s control. For the period in question, DoD has instituted a series of policies, procedures and management schema which can be described as misincentives, at best, and truly negative incentives, at worst. Among these are: efforts to increase the pace (and hence the costs) of competitive contract awards while simultaneously shortening the terms of those contracts, pressuring companies to accept fixed-price development contracts and agree to “eat” any cost overruns, demanding access to commercial intellectual property, and new and increasingly burdensome requirements for cost and pricing data. In a growing number of instances, the government announced at the start of a competition its intention to allow later competition for upgrades and sustainment. This has the potential to deny a prospective bidder the ability to achieve a reasonable rate of return on initial investments and any continuing research and development by servicing the aftermarket. This is a serious misincentive. As a result, even long-time defense-oriented companies are choosing not to bid on major new procurements. 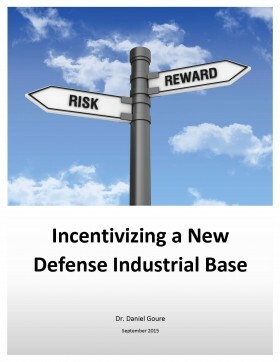 As the defense department increasingly looks to non-traditional suppliers of goods and services to provide critical military capabilities, it must address the misalignment of its incentive structure with requirements for greater participation in defense production and sustainment by commercial companies. This is particularly important in view of the fact that for many of the commercial companies, government contracts, in general, and DoD contracts, in particular, constitute a very small fraction of their revenues. The costs are too high and the gain too small to incentivize large, successful commercial companies to put up with the Pentagon’s acquisition system. Daniel Goure, Interview with senior official of a major U.S. defense company, October 2, 2014.